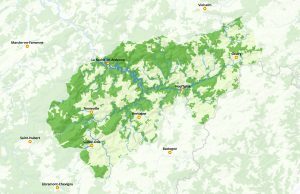 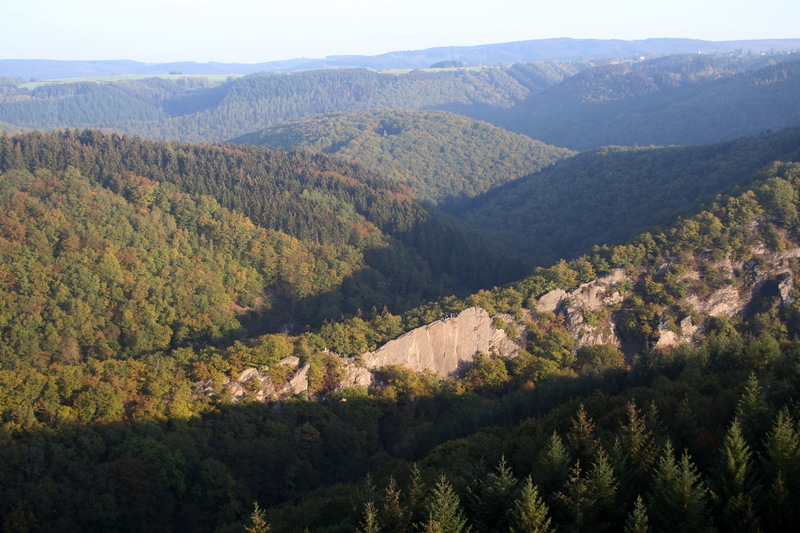 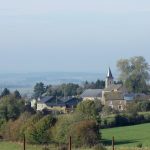 In the heart of the Ardenne, stretching along the border with the Grand-Duchy of Luxembourg, lies Two Ourthes Nature Park. 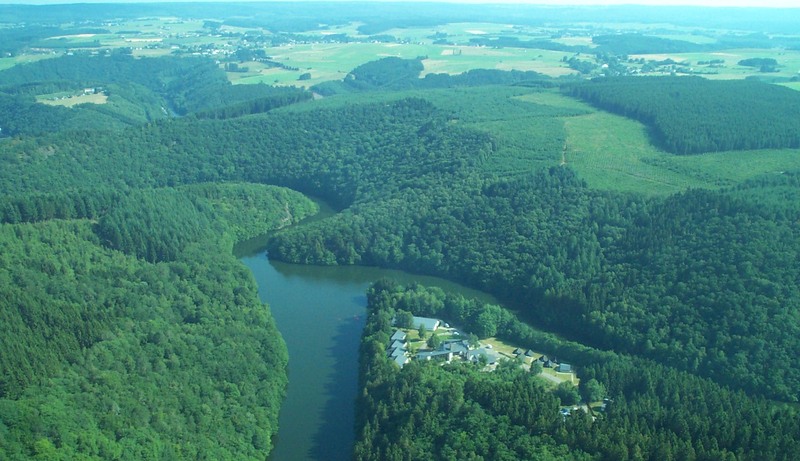 As its name intimates, this vast, 76,000 ha park covers the cliff-filled expanses of the Ourthe valleys. 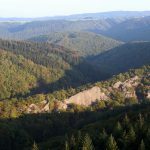 To the north, at more than 600 m above seal level, extends part of the Tailles Plateau. 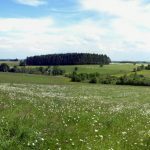 This living relic of the last ice age offers landscapes worthy of a northern clime: a cold climate, peat bogs, acid streams, very wet natural environments, and habitats of great biological interest. 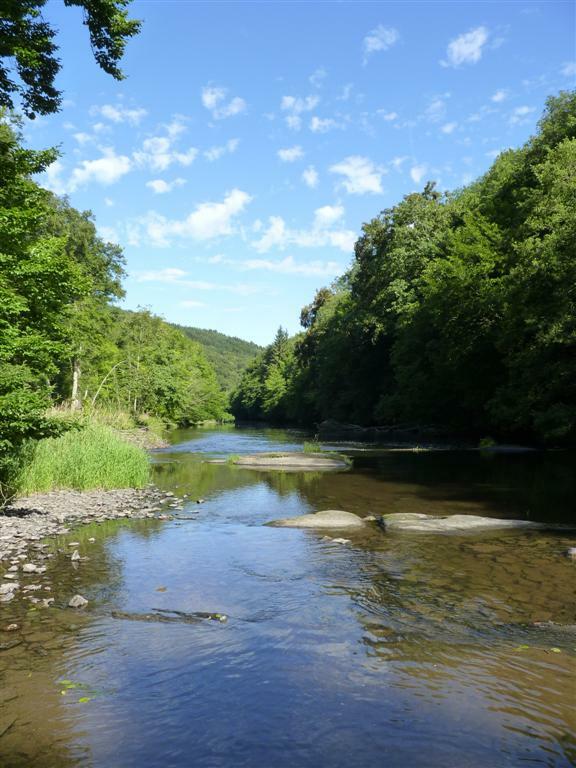 The Western Ourthe springs up within the boundaries of Gouvy, on the edges of a village named “Ourthe”, to flow, hopping and skipping, over the countryside towards Houffalize. The Eastern Ourthe rushes across the territories of Sainte-Ode and Bertogne to join its western sister close to Le Hérou. 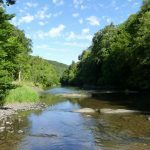 The stream then makes for the beautiful fortress-crowned town of La Roche-en-Ardenne, meandering as it does so in tight loops flanked by steep forested slopes studded with grandiose rock formations. 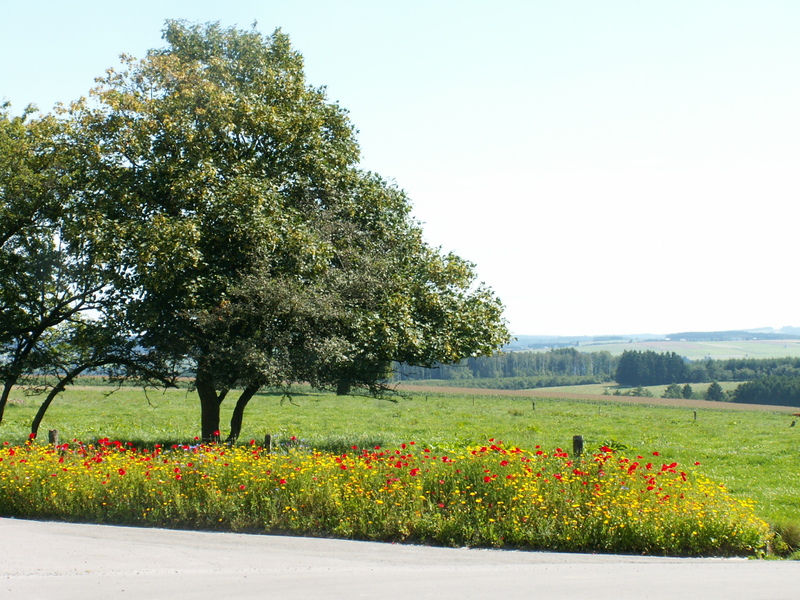 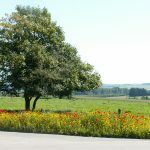 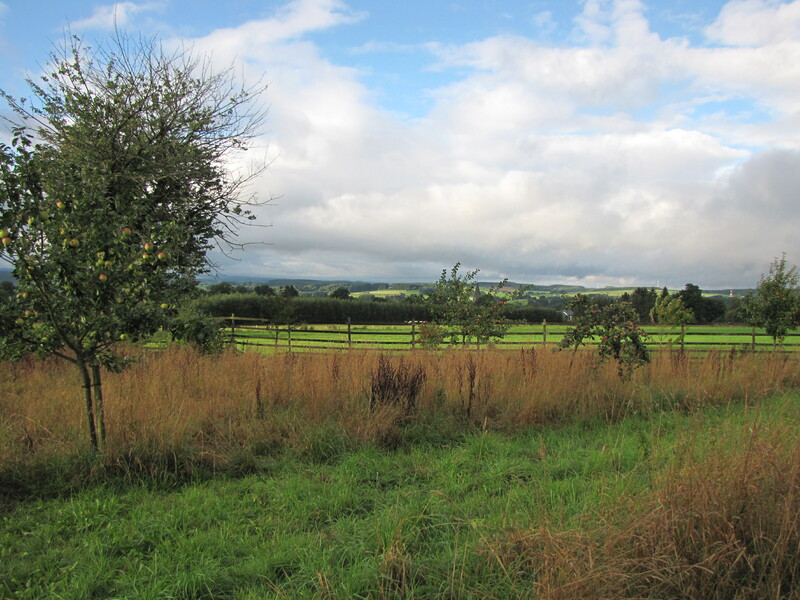 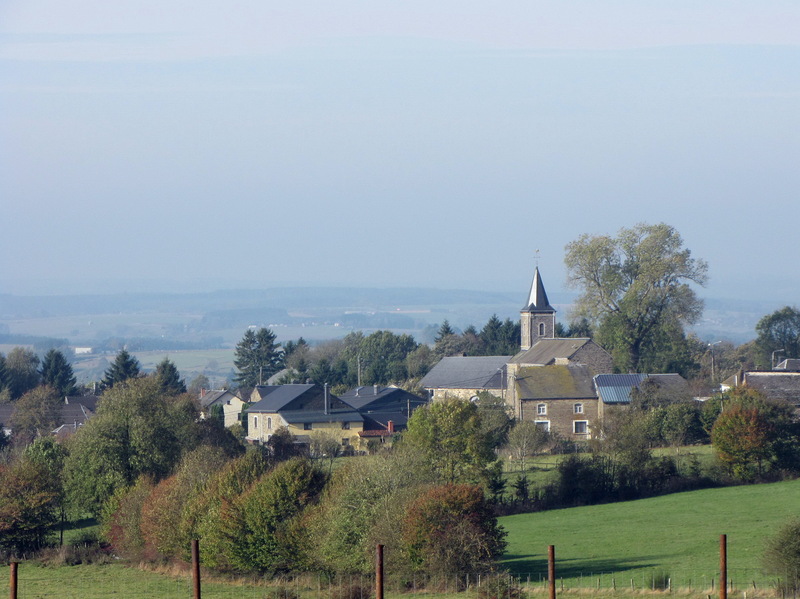 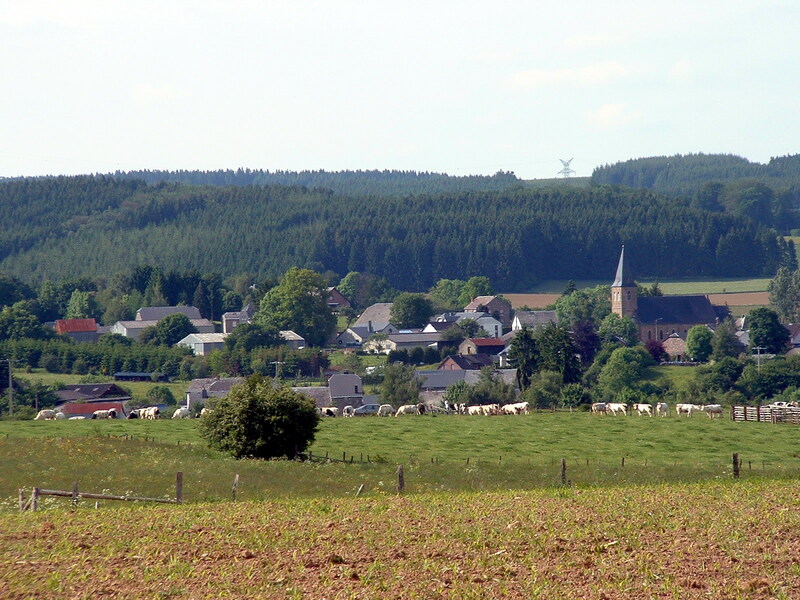 Broad agricultural plateaux and dense hardwood and softwood forests loom over the municipalities of Tenneville and Gouvy. 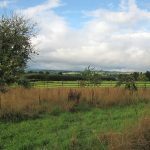 Spring mists, the light of the setting sun, the clear skies of a windy day…Regardless of the season, magnificent landscape perspectives unfold at each twist in the path.